Montezuma Land Conservancy enlisted the help of Cortez Web Services to build a clean and modern new website to showcase the beautiful scenery of the land they help protect. 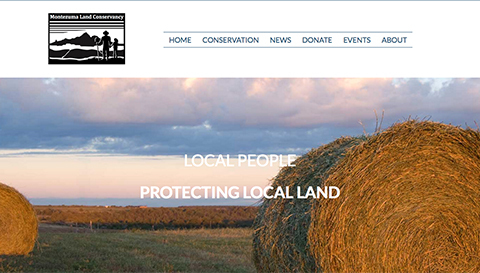 The website contains information about the projects and programs of MLC, and features full screen background images of local landscapes, taken by MLC Director and nature photographer Jon Leibowitz. The responsive, mobile-friendly website was designed to showcase Jon’s quality high resolution images, and uses stacked full width modules, as opposed to traditional WordPress page layouts, to create greater engagement and adapt well to mobile devices. The website contains several areas that display different types of content regularly updated by MLC staff, making it easy for them to post news updates, announce events, and even sell tickets online.